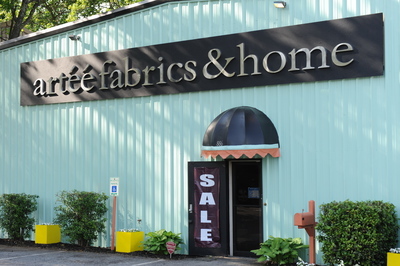 Welcome to artéé fabrics & home - Wilmington ! SALE ON FABRICS AND FURNITURE NOW THRU 1/28/2017. 35% off All Instock Fabric and furniture on new purchases at the Wilmington Store. We have the ability to bring to you the lowest prices anywhere for fabrics and trims.